Teen Challenge is a non-profit faith-based 15 month residential recovery program that provides affordable and comprehensive solutions. Recovery, like a race, takes a lot of training and hard work. Teen Challenge provides the best training to run the race of life. The result of our unique training ground is freedom from addiction for the individual. This is where you come in. Your support and encouragement can change the lives of many men and women. With your help, hope can continue to grow. Run, walk, support a team, or start your own. Simply put, be involved and Run To End Addiction! This year if your team can raise at least $100 dollars for Teen Challenge Massachusetts, you will receive a PROMO CODE for a FREE Registration! To redeem your PROMO CODE email proof of participation (screenshot, link, or receipt, etc.) to ProgDev@TCMassachusetts.org and we will email, text, or call your code to you! Limit one per team. What are we doing by running? LET’S FACE THE ISSUES HEAD ON. LET’S FACE THEM IN SOLIDARITY. STATISTICS SHOW THAT THE PROBLEM IS ONLY GETTING WORSE. FACE THE PROBLEM. STOP THE STIGMA. ONE LIFE. ONE FAMILY AT A TIME. Join us after pick up on the 31st for Friday Night Service! ELECTRONICALLY CHIPPED start and finish. Results will be texted after the race to each participant that provides cell phone number upon registration. Results will be posted on our webpage as well. Finish line photos for every runner will emailed next day. Be sure to provide your email upon registration! NOT ABLE TO JOIN US ON RACE DAY BUT WOULD LIKE TO SUPPORT THE RACE AND TEEN CHALLENGE? We have a Virtual Runner category just for that! Sign up online, go out and run your 5K on any day at any time. 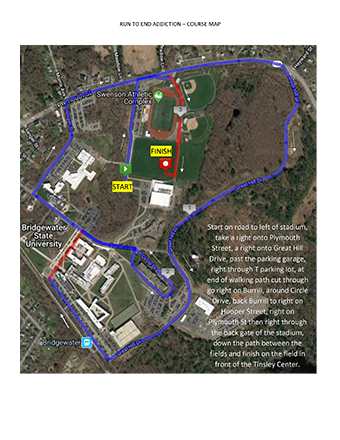 If you selected to be a part of the "In Memory Of" section of the race, please be sure to email Pat at progdev2@tcmassachusetts.org with a Photograph and Name of the Beloved as you would like it to appear on the Shirt and Sign. Thank you! KAHAIN CUP goes to Race Team with most members! I hereby for myself, my heirs, executors and administrators, waive and release any and all rights and claims for damages I may have against Teen Challenge, sponsors, coordinating groups and any individuals associated with the event, their representatives and assigns, and will hold them harmless for any and all injuries suffered in connection with this event. I attest that I am physically fit to compete in this event. Further, I hereby grant full permission to any and all of the foregoing to use my likeness in all media including photographs, pictures, recordings or any other record of this event for any legitimate purpose. Race management reserves the right to postpone or cancel the event due to events out of management's control such as weather, natural disasters or other emergencies. No refunds will be issued under these circumstances. Management may also alter the course and distances for the safety of the athletes. I understand that the entry fee is non-refundable and non-transferable.